A picture says a thousand words. This couldn't be more accurate. We’re always on the lookout for hot supercar bargains. With the main exception of Ferraris, most supercars do decrease in value somewhat over the years. However, regular maintenance, fuel costs and other related issues will keep operating costs fairly high, regardless if you got a killer deal or not. 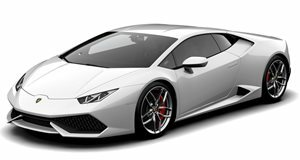 But this particular Lamborghini Huracan is not only dirt cheap, it won’t cost you a thing to maintain. Literally. Coming to us directly from Louisiana are the remains of this...uh, we think it’s a Lamborghini.